2017, Sune Martin for his music for "Land of Mine" and Honor award to Bent Fabricius-Bjerre. 2016, Atli Örvarsson for his music for the film "RAMS"
and Honor award went to Icelandic Film Composer Johann Johannsson. Concert on Saturday 30th of August, in Espoo, Finland. orget the reality. The film, which was released in 2013, is directed by Fredrik Edfeldt. scores of the selected films not only on their own merits but also for the relationship that they form with the film. movie, in which, voluntarily, there is very little dialogue, wonderfully fills the blanks that are purposely left by the director in the storytelling. for his music to Ragnarok. 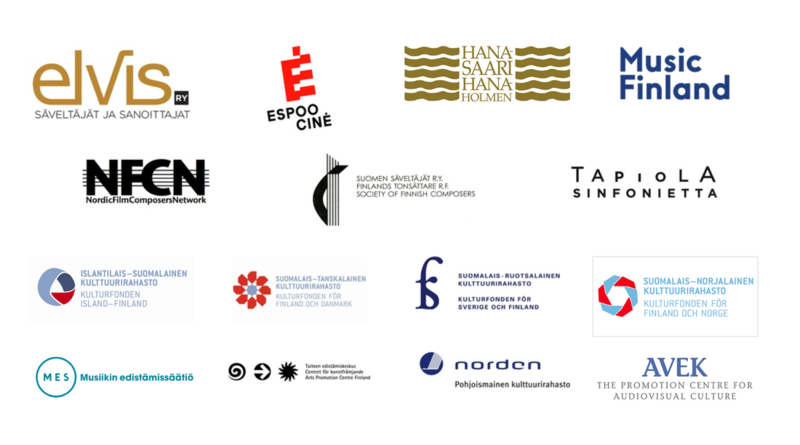 The Harpa award is a recognition from the composer organizations within the Nordic Countries. Every Nordic country participates with one nominee. The 10 000 euros award was first admitted in 2010. Last year Finnish composer Tuomas Kantelinen won the award for his music in the film the Purge. the city of Espoo, Tapiola Sinfonietta and The Finnish Composers Society. As a free event for the Espoo Day on the 30th of August there will be film music concert with a variety of orchestral arrangements. The conductor, mr. Atso Almila, will bring the familiar and some of the less familiar film music classics to the audience. In addition, the Nordic Film Music Composer Award, the Harpa award, will be presented at the concert. From Espoo Ciné's ticket office at Espoo Cultural Centre starting from 6th of August. Please note that the maximum amount is 2 tickets per person. Limited amount.